Which X-Men Movies Are Dead Now That Disney Owns Fox? Disney now officially owns the vast majority of media assets previously held by 21st Century Fox. This means, the X-Men and Fantastic Four character rights are Disney's and, ultimately, they will be back in the hands of those at Marvel, which is also owned by Disney. The future of the franchises and these characters are, more or less, in the hands of Marvel Studios President Kevin Feige now. With that, many of the projects that were in the works at Fox prior to the merger are dead in the water. 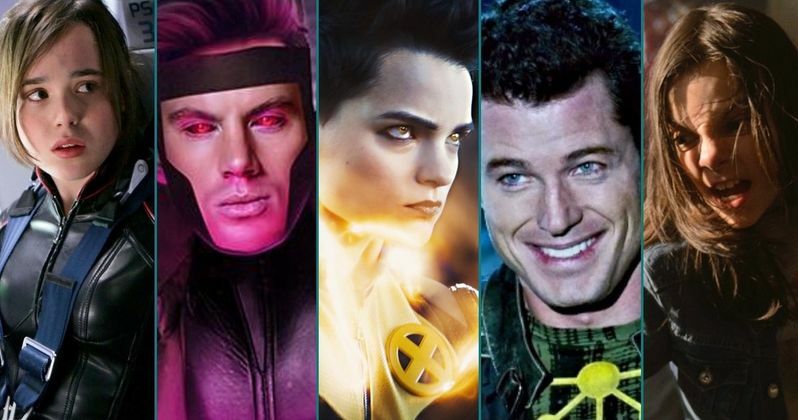 Dark Phoenix, which is set to hit theaters in June, and The New Mutants, which may wind up just being dumped to a streaming service such as Hulu, are the last two Marvel-related movies that will be released in that version of the continuity, which dates back to the first X-Men movie from 2000. Disney will, undoubtedly, be hitting the reset button after they release what has been inherited. Beyond that, it's likely they'll be keeping Ryan Reynolds on for further Deadpool movies, especially since his version of the character was added to the official Disney website banner this morning after the deal went through. However, everything else will fall victim to the previously mentioned reset button. Most of the other projects we've heard about, as a result, are making their way to the scrap heap. So here are the movies that were in development but never will be. Related: Will Avengers: Endgame Directors Take on Wolverine in Marvel Phase 4? First up, and perhaps most painfully for anyone named Channing Tatum is Gambit. This one has been in the works for a long time. Tutum essentially willed it into being, given his desire to play the card-throwing, fan-favorite Cajun mutant. Tatum has tried desperately to get this one going, but the budget became an issue. Plus, it's been a revolving door of filmmakers that have come and gone including Doug Liman (Edge of Tomorrow) and Gore Verbinski (Pirates of the Caribbean). Sadly, Tatum is going to have to let this one go. This one is probably going to be the most painful for anyone who enjoyed Deadpool 2. Josh Brolin's Cable, Zazie Beetz's Domino and Ryan Reynolds' Wade Wilson were set to team up for an X-Force spin-off, with Drew Goddard (Bad Times at the El Royale) set to direct. However, creator Rob Liefeld revealed a while back on Twitter that this project was going to be a victim of the merger. Almost no way Disney gets this one going. Instead, we'll probably see something that resembles Deadpool 3. Coming hot off the success of Logan, which served as Hugh Jackman's goodbye to the character of Wolverine, director James Mangold revealed they were working on a script for an X-23 spin-off centered on Dafne Keen's Laura. Few updates have been provided in the time since. Again, since we're going to be establishing new continuity under the Disney regime, this is another one that, while possibly promising, simply isn't going to see the light of day. It's unlikely anyone is going to mourn this loss too much. James Franco had been tapped in 2017 to star in an X-Men spin-off as Jamie Madrox, better known as Multiple Man, who can clone himself, as the name implies. Franco was set to produce, working from a script by Allan Heinberg (Wonder Woman). Again, we've had precious few updates, but this was expected to be of the R-rated variety. C'est la vie. Last but not least is one that was known only as 143, aka the Kitty Pryde solo movie. This one seemed especially intriguing, as comics great Brian Michael Bendis was penning the script, with Deadpool director Tim Miller also on board. We heard personally from Bendis in our recent interview with him that he was still working on the script, but he admittedly didn't know how the Disney/Fox merger would affect the status of the project. Good money says it won't move forward. There is one last project, the Noah Hawley Doctor Doom movie. So why not put that one on the list. Well, apparently, Kevin Feige inquired about the project when speaking with Hawley. So maybe, just maybe, that one could see the light of day. But still, we wouldn't be too surprised if it didn't. The only certainty at this point is that the X-Men and Fantastic Four will join their fellow Marvel friends (or enemies) over in the MCU. It's just a matter of how soon, and how that will be executed at this point. This was previously reported by The Hollywood Reporter.